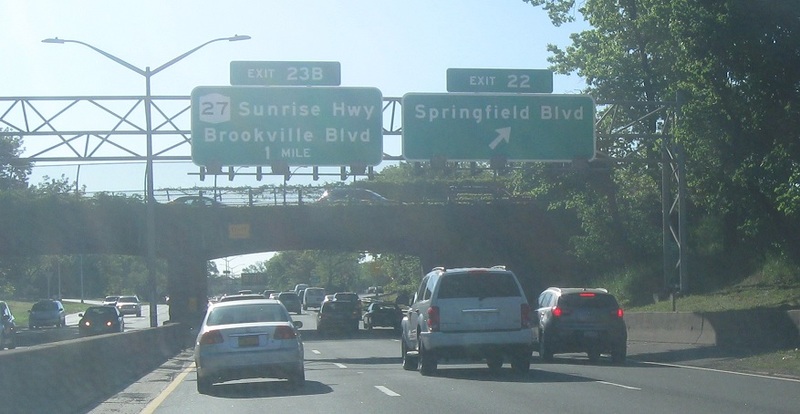 Shortly after the JFK interchange, the Belt Parkway will split from the 27 corridor. 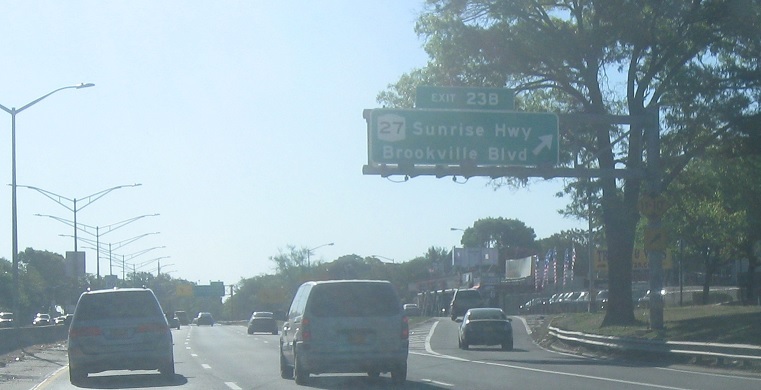 Right now, the Belt Parkway is the freeway itself while NY 27 is the parallel service roads. Keep right to stay on NY 27 as the Belt Parkway prepares to turn north. 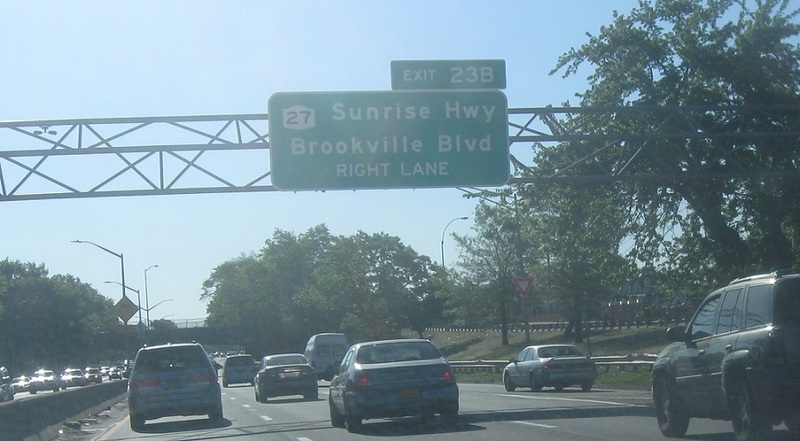 Exit for NY 27 east. There’s no access to 27 west.